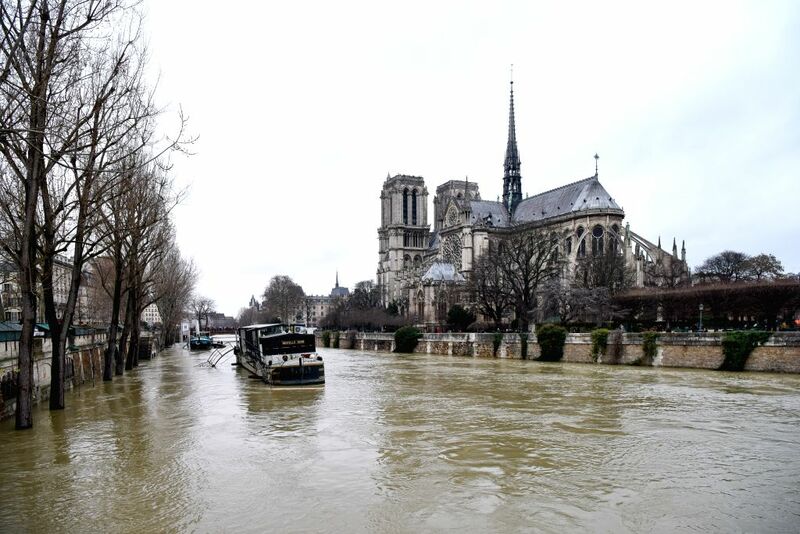 PARIS, Jan. 28, 2018 - Photo taken on Jan. 28, 2018 shows the Seine River near the Notre-Dame in Paris, France. 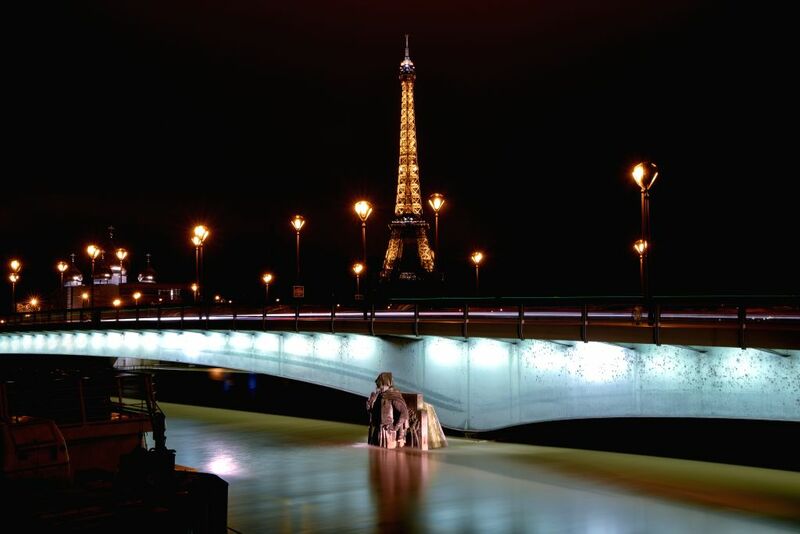 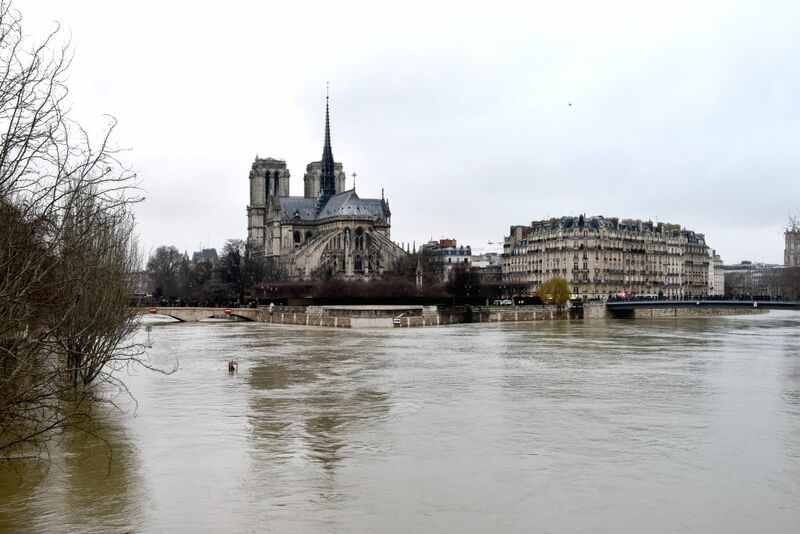 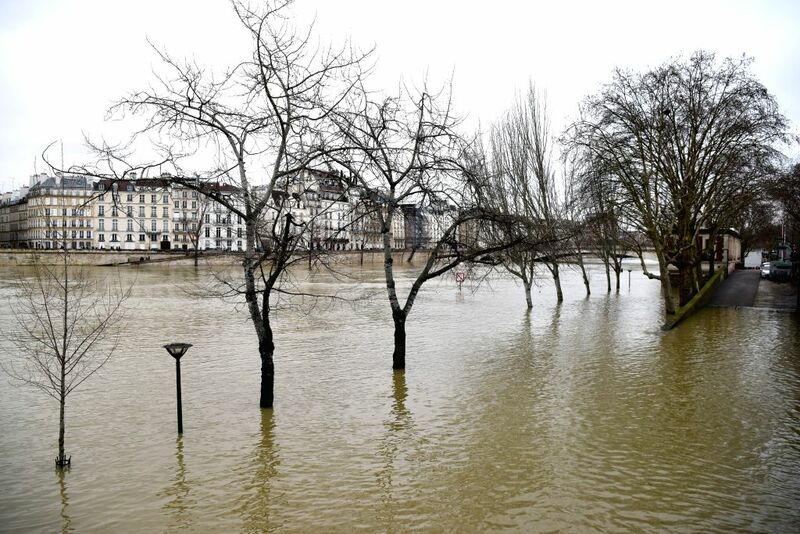 The Seine river, which runs through Paris, kept rising on Sunday and had led to the evacuation of about 1,500 people in Ile-de-France region including the French capital and surrounding zones, according to Paris police. 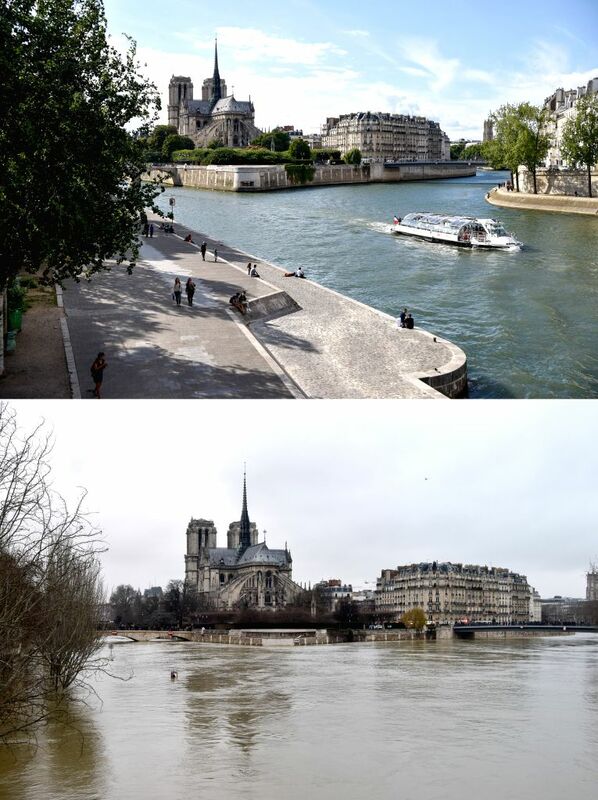 The combined photo shows the Seine River beside Notre-Dame on July 25, 2017 (top) and on Jan. 28, 2018 in Paris, France.